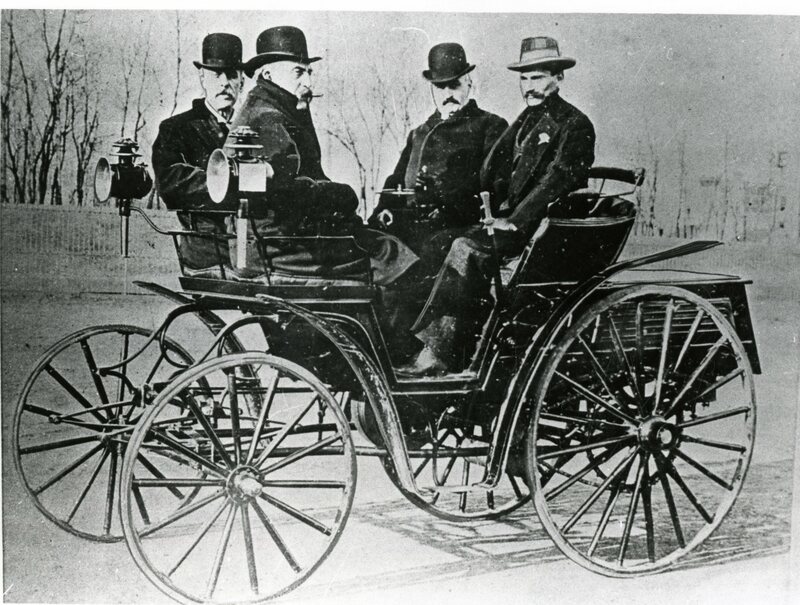 Photograph of Mueller Men in horseless carriage. Used in Decatur Business 977.358A, p.47. Photo by Noel C. Dicks. Business, Mueller Manufacturing Co., Photo File: Automobiles, Noel C. Dicks, Decatur, IL. 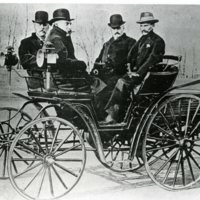 Noel C. Dicks, “Photo of Mueller Men in Horseless Carriage,” Decatur Illinois Public Library Local History Photo Collection, accessed April 26, 2019, http://omeka.decaturlibrary.org/items/show/2685.